“What if power came at a cost to the individual?” asks Mike Thomson, the creator of this creepy but intriguing concept lamp that requires a committed effort to keep lit. That cost could not be more direct in this case. 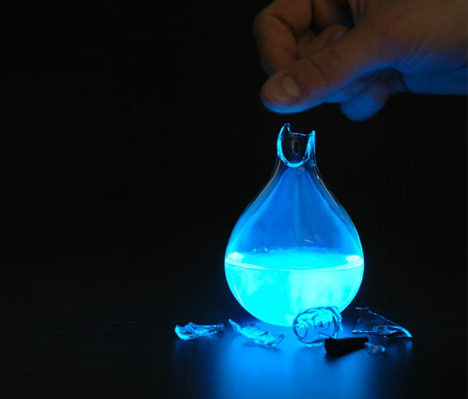 “For the lamp to work one breaks the top off, dissolves the powder, and uses their own blood to power a simple light. 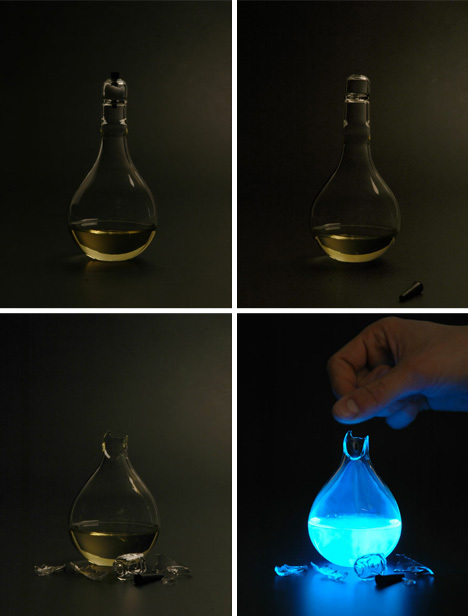 By creating a lamp that can only be used once, the user must consider when light is needed the most, forcing them to rethink how wasteful they are with energy, and how precious it is.” Back in the day a little blood letting was used to cast out evil spirits, so how bad could it really be?